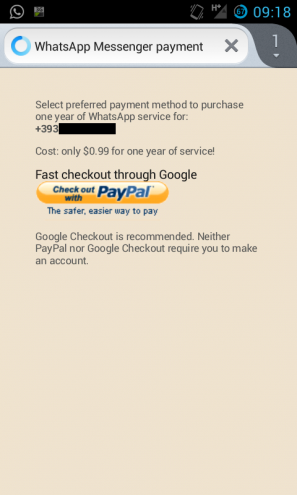 WhatsApp: how to pay for the subscription with PayPal on Android! 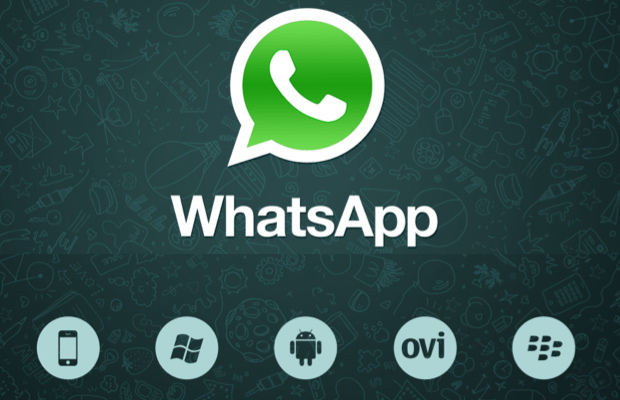 WhatsApp has been a significant messenger app since the birth of smartphones. This cool app has now crossed 10’s of millions of subscriber all over the world. But the bad news is that the app and it’s free life time offer and converted itself to a must paid annual subscription type messenger. we have seen some talks between Google and WhatApp at higher level as Google has planned to buy this messaging platform and merge it in it’s upcoming new messaging service code-named Google Babble. However we have no reports about the deal yet. WhatsApp mean time forced it’s users to renew their subscription by paying $1. It might be easy and straightforward if you have a Google Wallet account or their credit card. But there is still the problem for majority of users who don’t have a Google Wallet. WhatsApp has the answer for this as the App supports payments through the PayPal. To complete your payment process now you don’t have to open the Google Play store but you would have to visit WhatsApp android page HERE (http://www.whatsapp.com/android/) . At this page you can download the WhatsApp.APK file manually which will not be any different to the one available in Google Play Store, except the method of payment that you can find in the settings menu. By clicking on Buy Online menu you will not sent back to the Google Wallet or Google Play Store but there will be a web page opens with the option of payment through the PayPal to renew your subscription. The payment procedure is linked to your Mobile phone number and not the app. So after paying if you uninstall the app or delete it accidently your subscription will not end. You can download the original app from the Google App Store later. By Adopting this method you can make your due payments with the help of PayPal. Try this and let us know if you have any problem by commenting below the post. Download Apex launcher 2.0 Beta with many new features.